Eyes here, Piso Fare friends! Here are Air Asia promo fares for 2019 which start at P666 for select local destination! Check the new Air Asia seat sale which include cheap tickets for local and international trips. Promo tickets up for booking until July 15, 2018 and good for travel on February, March, April, May, June, July until August 13, 2018. 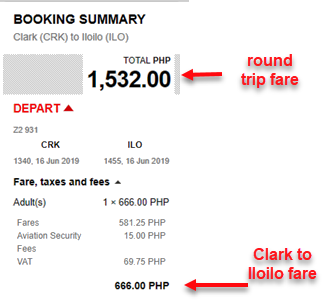 At P666, lowest fare on this sale is Air Asia promo flight Clark to Iloilo. Other promo fares are as low as P866, P966 and many more. Be flexible on your travel dates. Air Asia promo tickets are limited and may not be available on all flights. Booking is on a First Come, First Serve basis, so book your tickets ASAP to get the lowest fare. How to Avail Air Asia Promo Fares? Want to avail the low fares? Just head on to the airline website: www.airasia.com and book your ticket. Promo code not needed in booking. Air Asia Payment Partners. For the convenience to passengers without credit cards, you may pay tickets booked online thru Air Asia Payment Partners such as: EC Pay, 7-Eleven, Cebuana Lhuillier, SM Store, M Lhuillier, Bayad Center, Robinson’s Store. Air Asia promo ticket inclusion. Air Asia sale tickets are valid for one-way travel and cover the fare, Aviation Security Fee, VAT and free hand carry bag up to 7 kilos. 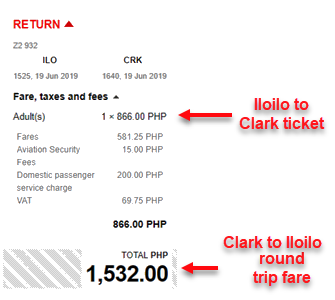 Ticket price also include Domestic Passenger Service Charge (airport taxes) except on select airports where airport tax is collected before departure. Air Asia promo tickets are non-refundable. Changes in flight and date are allowed subject to charges. Changes to names are not permitted. Guests traveling to international routes are required to present valid travel documents like passport, Visa and other applicable documents. For any inquiry, please contact Air Asia hotline number: (63-2) 722 2742 from 7AM-11PM, Monday thru Sunday. 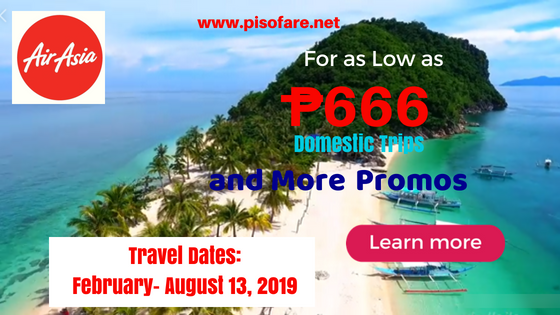 LIKE our Facebook: PISO FARE TICKET to receive Air Asia, Philippine Airlines, Cebu Pacific and other airline seat sale 2018 to 2019, PISO FARE 2019, travel tips and updates!